New Japan Pro Wrestling’s biggest event of the year is right around the corner and with 11 solid matches announced for the show, this has the makings to already being the event of the year. So join me as I (Charles Schaeffer) run down what is going to be happening for the big show and what things are looking like heading into each and every match. These are definitely four men who are no strangers to one another. Competing in back in forth matches in singles and tag matches all year long. The NO REMORSE CORPS are coming into the match as the champions after originally beating Apollo 55 back on October 10th of 2011. 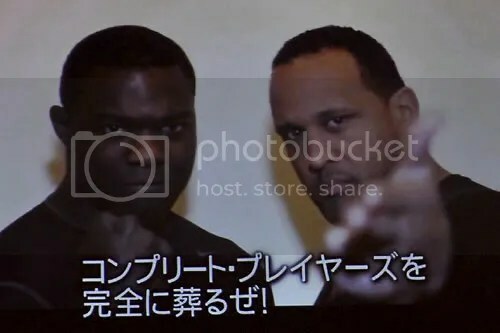 Richards & Romero have said that they plan of being the champions for a long time, but they New Japan originals aim to bring the belts back to NJPW. There is really not much that I can say about this match that has not already been seen before. Richards will bring the intensity like he always does, Romero will be his certain craftiness while “the current IWGP Jr. Champion” Prince Devitt and Ryusuke Taguchi will be trying to work as cohesively as possible to get the job done. Will NRC remain champions or will Apollo 55 add yet another title victory to their names? Continuing on with the CMLL and NJPW working agreement this match is looking to bring together the top Junior Heavyweights of New Japan together with some of the top talent from CMLL in Mexico. One person in particular in KUSHIDA has gotten a bit of press for this match as it has been a dream of his to finally compete in the Tokyo Dome. KUSHIDA was signed into NJPW from SMASH due to talent and abilities and being in the ring with so many big level names should definitely give him a chance to stand out. This match will be pitting some of the more iconic masked me in the sport today with some of the up and comers looking to take the leap forward. 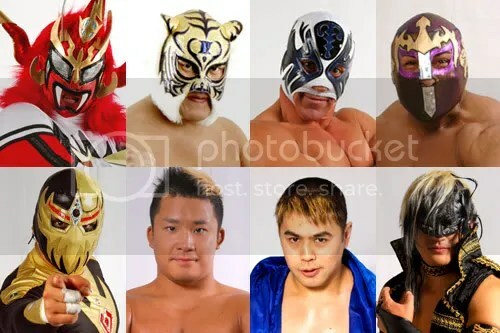 From the face team of Liger, Tiger Mask, Dorada & KUSHIDA looking to catch the people’s attention to the heel team of Atlantis, Valiente, TAKA & Taichi, this should be an exciting match with many high flying and big spots to crowd appealing multi-man maneuvers. ~ Okada & Yoshihashi Return to NJPW in what is sure to be a big moment for both competitors. Kazuchika Okada, as most of you may know, spent the last two years competing in the USA namely in the Florida area with TNA wrestling. Well sadly he did not get much time wrestling on TNA tv and he was left training and working with the smaller promotions in the FL area. 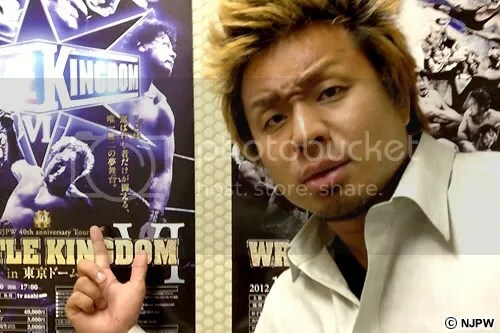 Okada was seen as a top prospect for New Japan and was to spend the time away to develop himself into a proper Heavyweight talent. Nobuo Yoshihashi, now YOSHI-HASHI, has spent the last year and a half down in Mexico competing in CMLL. Okada has gained in size and is looking to lay his claim as a Heavyweight in NJPW. While in CMLL he spent the time as a “Rudo” (heel) in the promotion and seems poised to be a heel when he returns. It seems HASHI felt he was abandoned in a way in Mexico and is looking to take what he learned in CMLL and make it mean something in NJPW. Both guys are looking to come back into NJPW strong and to take their careers to the next level with a championship around their waist. A win at WK VI for either of the two will push them further up to the inevitable championship ladder. It is also very fitting that this is the 40th Anniversary for NJPW as every decade new faces are seen and the new talent begin to leave their mark in the promotion. Which of these former Young Lions have taken the step to being a new generation star? The title would make you think that this match is tailored for BLUE JUSTICE, but there is a lot of more history heading into this match than just Nagata’s group. Masakatsu Funaki a renown Mixed Martial Artist in Japan, and originally got his start over 25 years ago in the New Japan Dojo, under Kotetsu Yamamoto. He would only stay around for a few years before he ventured off into the MMA field and he found his way, but in a way this match at the Dome is a homecoming for him as he has not competed for the promotion since he left. Funaki is also highly regarded as a teacher, where in which Kono comes in. Masayuki Kono is not coming into this match as odd as you may think. For one he is currently under the tutelage of Funaki, second is that he used to be a part of New Japan’s MMA Division years ago, and last to note is that this year he faced off against Yuji Nagata in All Japan’s Champion Carnival back in April. Though it was a losing effort, one has to be thinking that Kono maybe looking to get claim a win back. Yuji Nagata of course started out as one of the top wrestlers in 2011 as he went on to win the New Japan Cup as well as All Japan’s Champion Carnival. Nagata is actually one of the teachers who helped originally train Inoue, so in a way you can call this a teacher and student vs. teacher and student tag match. This match should be a mix between technique and strikes. Funaki is a man of many holds and has a deadly high kick, Kono has both strength and submission skills, Inoue can come out of nowhere with the Spear of Justice, and Nagata has both submission and many technical based moves at his disposal. This should be a hard one to call a victor, but it should be interesting to see who comes out on top. 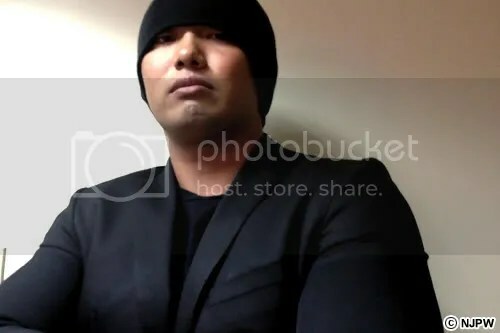 MVP and Tanaka have been at odd for the later half of the year, and Yujiro has not been too far behind to take advantage of MVP’s misfortune and take in a few shots of his own. To put in a way, it has been MVP by himself against the onslaught of the Impact Players. Well come WK VI, MVP is looking to change things around as he is bringing in a close friend and an ally he can trust in former WWE star/current ROH star Shelton Benjamin. This will be the first time that Benjamin will compete in Japan, but with his skills and talents he should fit right in. MVP is going in with finally exacting some revenge over his opponents, and even setting up another match against Tanaka for the IWGP Intercontinental Belt. Will MVP & Benjamin “The World Class Players” prove to be a decisive & solid team or will “The Complete Players” maintain the momentum & control that they have had over MVP going into the show? Bad Intentions are currently one of the strongest if not strongest tag teams in Japan today. They are the current holders of the IWGP & GHC Heavy tag team belts and have proven themselves to be almost unmatched in 2011. They may have though met their match with the reunion of one of the most popular teams in NJPW history with TenKoji. Tenzan & Kojima have recently settled their differences and have set themselves up against the current champions. They two teams have been back in forth in single scheduled matches since the announcement of the match and have proven to be close to evenly matched going into the big show. Will the current champions continue on with their dominance or will the experienced team prove to be the stronger? It is sort of becoming a tradition between Goto and Sugiura to face off at the Tokyo Dome as of the last several years, but this time could be an all around different match. These two last faced off one on one at WRESTLE KINGDOM VI in 2010 where Sugiura successfully defended his GHC Championship against Goto. There is no belt on the line at this show the field is strictly level between the two. Goto is looking to put himself back into title contention so a win at WK VI could ultimately do that for him. Sugiura on the other hand with a win could, in turn, set himself up as a possibly challenger for the IWGP. This should be a strong match between from the two and could set the pace with the NJPW vs. NOAH war. 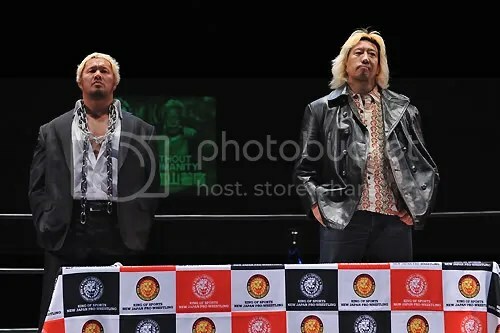 ~ Makabe and Takayama have a lot of history between them. 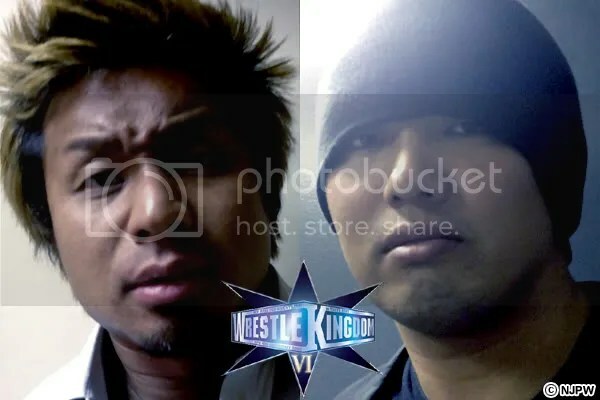 Both are considered tough men and being physical in their matches, and they even teamed together back in early and mid-2003 in both NJPW and NOAH. So it makes this all the more so emotional for Makabe as he thought Takayama was still his friend until the turn at “DESTRUCTION ’11” this past October. Makabe and Takayama have went back and forth in tag matches since this moment, but coming up on 1/4 they will finally meet one on one in the ring. Just like the title of the match says, this will surely be a battle without any boundaries. Makabe is looking to exact some revenge, while Takayama is looking to continue the push for Minoru Suzuki’s takeover of NJPW. When all is said and done who will be the one to stand as the victor? ~ The CHAOS Top Team of Shinsuke Nakamura and Toru Yano will be defending the NJPW ring as they take on the outsider NOAH team of “the current GHC Heavyweight Champion” Go Shiozaki and “the wrestling prodigy” Naomichi Marufuji. Nakamura has a lot of history with Shiozaki and a lot of people have been wanting to see Nakamura across from Marufuji in the ring together for the longest now. Yano should not be looked out of place in this match though as he has proven himself to be in the same place as the top wrestlers in Japan. He can pull out the wins out of nowhere and he can indeed do just that. There will be 4 technically gifted wrestlers in this match and it should make for a strong mashing of skills. 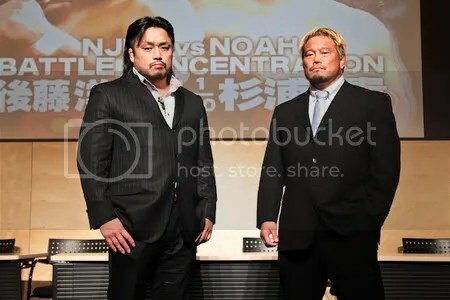 The NJPW vs. NOAH battles seem to be continuing on into 2012 and with two major matches to kick off the new year between the two promotions it should be great to see what happens. Keiji Mutoh is probably one of the more iconic names still competing in Japan today. He is definitely known to most American fans as The Great Muta, but in Japan he spent more time as himself and has been an innovator of in ring wrestling and adapting to many styles. Which is were he gained the moniker of “The Wrestling GENIUS”. Tetsuya Naito on the other hand is just now gaining recognition in Japan as a singles competitor after spending many years as a tag team with Yujiro Takahashi. Naito’s idol in the ring is Mutoh himself and every match that Naito competes you can see more and traits of Mutoh coming through. Through the mixing of submissions, high flying, and appeal you could almost say that Naito is like a rejuvenated version of Mutoh himself. 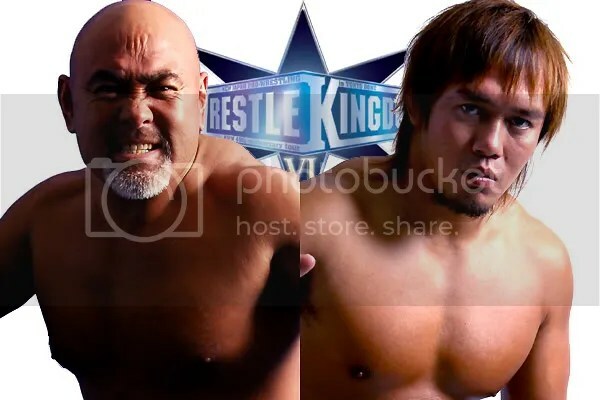 This definitely will the biggest match for, the 29 year old, Naito to date and even in big match for Mutoh himself who just recently turned 49 years old. The past vs. the future, youth vs. experience, and in their own right GENIUS vs. GENIUS. No matter who comes out the victor it will be a turning point for Naito. 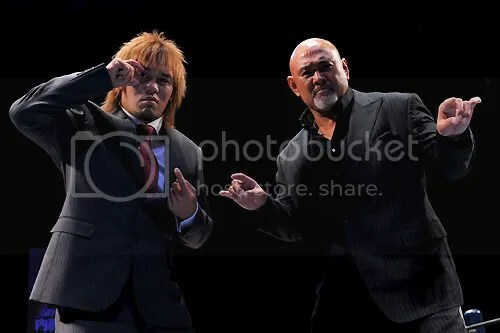 A strong showing against one of the greats can go a long way to show how far Naito has come along as a future champion, and Mutoh winning will prove to be a strong factor in the legend fighting against age. Almost 20 years separates the two, but will it come down to youth or experience as the proving factor of the match? 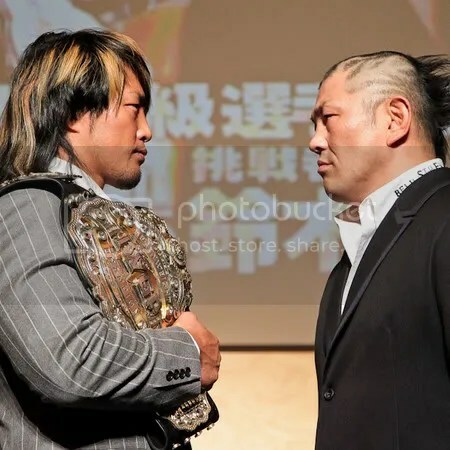 Hiroshi Tanahashi is looking to continue on with his strongest and even record setting IWGP Championship reign into the new year, but in his way is Minoru Suzuki who is looking to make 2012 the year of his faction Suzukigun (the Suzuki Army). 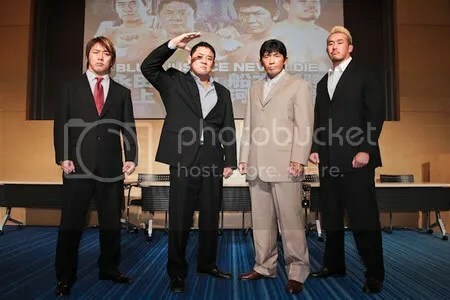 2012 may be the 40th Anniversary for NJPW, but Suzuki has recently stated that will be nothing compared to when his group control the promotion. So this has shifted the flow of the match with Tanahashi going in as the face and Suzuki going in as the outsider heel. A title win for Suzuki would be a full loop around as many may not know that Suzuki got his start back in the mid/late 80’s in the NJPW Dojo. Suzuki though went on to work more with shooting fighting and MMA work, but in the last 10 years or so has found himself back in the pro wrestling side of things. 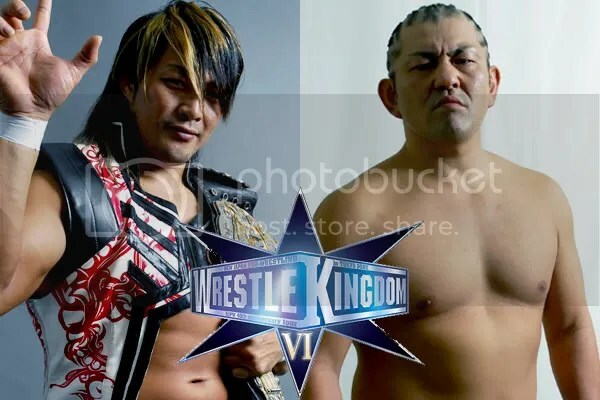 The last time these two were in the ring against each other, Tanahashi was left carried out on a stretcher following an onslaught at the show on Dec. 24th. So with all the things going into the match, you also have to keep in mind that Tanahashi will be looking to exact some revenge. A record setting title defense is in store for Tanahashi if he wins, and a change in power is want Suzuki is looking to gain. Will the High Fly Superstar and Ace of NJPW retain or will the Crazy Shootfighter prove to be too much? New Japan is going to be laying it all on the table for this show, and with only a few things I would change I can still say it is going to all be interesting to see what goes down. Each match will shape the year to come, and no matter what us the fans should have plenty to talk about coming in and heading out of the show.